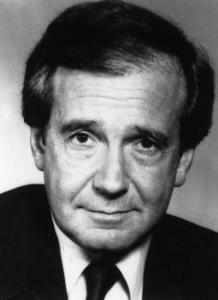 Dr. Fritz Bach in 1991. Cultivating laboratories with the deftness of a master gardener, Dr. Fritz Bach brought to full flowering a half-century of scientific concepts, chief among them a cellular test he developed that led to the first successful bone marrow transplants matching donors and recipients. His discovery formed the foundation for decades of transplants that extended the lives of hundreds of thousands worldwide, but it was hardly the only achievement that reached beyond his labs in Wisconsin, Minnesota, and Cambridge. Dr. Bach, a pioneer in transplant research who retired as the Lewis Thomas Distinguished Professor at Harvard Medical School, died of cardiac arrest Sunday in his Manchester-by-the-Sea home. He was 77. In the field of bone marrow transplants, “I think it would be fair to say he really was one of the early giants in the field,’’ said Dr. Paul Sondel, head of the division of pediatric hematology oncology at the University of Wisconsin, Madison, who was a former student and colleague of Dr. Bach’s. Dr. Bach called his technique the mixed leukocyte culture, or MLC, which physicians used to select the most compatible relatives of patients to be transplant donors. In the late 1960s, he used the technique to select a donor for the first successful clinical bone marrow transplants, which Dr. Bach and Dr. Robert A. Good in Minnesota described in twin articles for the science journal The Lancet. Dr. Bach’s test led to further research on how the human immune system responds to the major histocompatibility complex, a system of surface proteins on cells that define each person’s unique immunity. Researchers are still using his work to more fully understand immune reactions of all types, including for transplant rejections, Sondel said. In 1998, Dr. Bach also became a public voice of caution, urging the scientific community to include the public in decisions about the use of animal cells and organs in humans. Concerned about possible ramifications, which could include introducing serious diseases to humanity, he joined other scientists who called for a moratorium on using pig cells and organs to treat people until a public commission could be created to gauge the dangers. Born in Vienna, Fritz H. Bach was the younger of two sons and escaped Austria at the beginning of World War II when he went to live in Bath, England, before turning 5. His maternal grandparents perished in the Holocaust. His family immigrated to Burlington, Vt., where he graduated from Burlington High School before attending Harvard as a scholarship student, graduating with a bachelor’s degree in 1955. At Harvard Medical School, from which he graduated in 1960, he became interested in immunology and genetics. After postdoctoral studies, he taught at the University of Wisconsin and led a research team from 1965 to 1980. He then taught and conducted research at the University of Minnesota until returning to Harvard to teach in 1990. Each summer, Dr. Bach held a party at his oceanside house and invited everyone from faculty to those who tended the cages in his laboratory, conversing easily with all his guests. In addition to his son and former wives, Dr. Bach leaves two other children from his first marriage, David of New York City and Wendy of Knoxville, Tenn.; three children from his second marriage, Kathryn of Cambridge, and Erika and Dana, both of Manchester-by-the-Sea; and four grandchildren. A memorial service will be held at 2 p.m. today in Stanetsky-Hymanson Memorial Chapel in Salem.